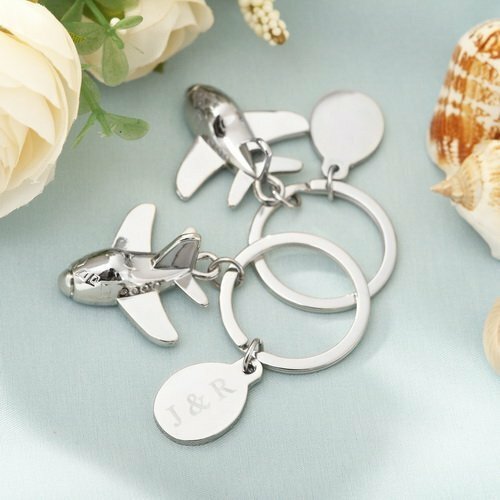 Personalize these quality Aeroplane Keychains with your own message engraved as shown. It's a useful keepsake for your guests to remember, a most suitable gift at any event particularly as destination favors! Aeroplane measures 3cm long x 3.5cm wide x 2cm deep. Individually packaged in a red gift box.